The Collected Interior: Fun Accessory...Deer Antlers! I especially Love how she accessorized them. Love the stacked books and magazine collections. I see a few thrifty Target finds like the Nate Berkus black and white chevron vase. There are plenty of picture frames for displaying family photos. 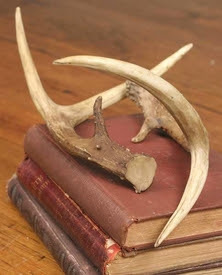 And finally, the piece that adds the most personality...those cool deer antlers! 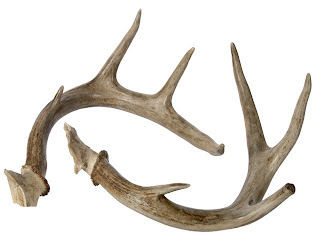 Ooooh I am loving those naturally shed antlers from Relique! 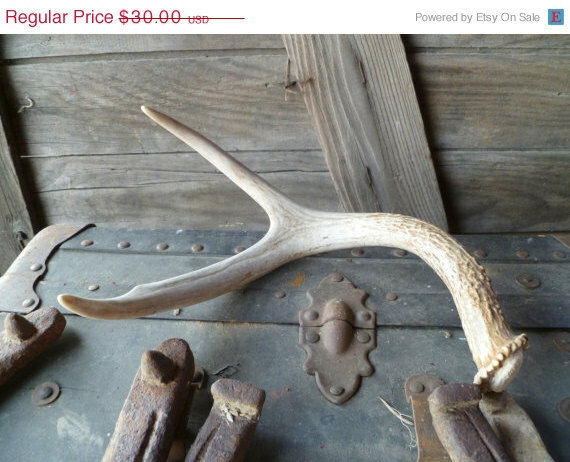 But the best selection of deer antlers, for both resin and naturally shed, is Etsy! Yup, one more reason to Love Etsy, and they have a huge selection to choose from. Okay guys, if your looking for a fun decor trend this Fall...think about Deer Antlers! She really did style that bookcase well. I am almost ready to get me some...an estate sale had them recently, a TON of them, but I never made it there. 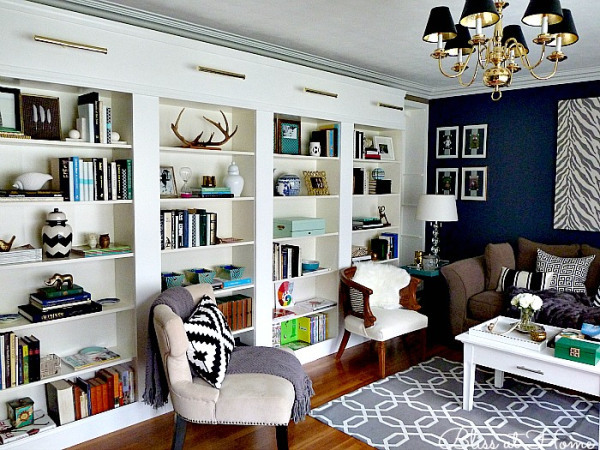 She did Stephanie...I love the bookcases and the whole room! And the antlers too. Such a simple and relatively easy find! 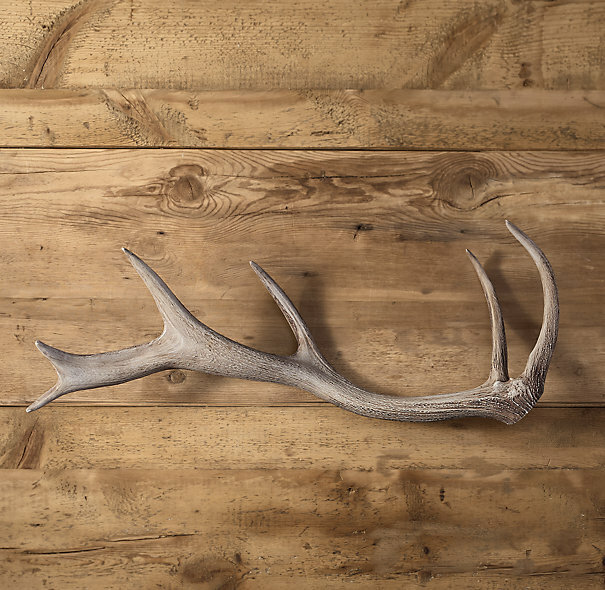 I love Deer Antlers...my brother got married and loves to hunt so we did a fun rustic party with antlers on the tables with candles. It was really pretty! Makes the guy feel like you didn't forget about him. Luckily we have tons of them in my dads shop. They are really great décor! Great post. Wow, Your brother hunts and your Dad has them in his shop! Lucky, lucky!